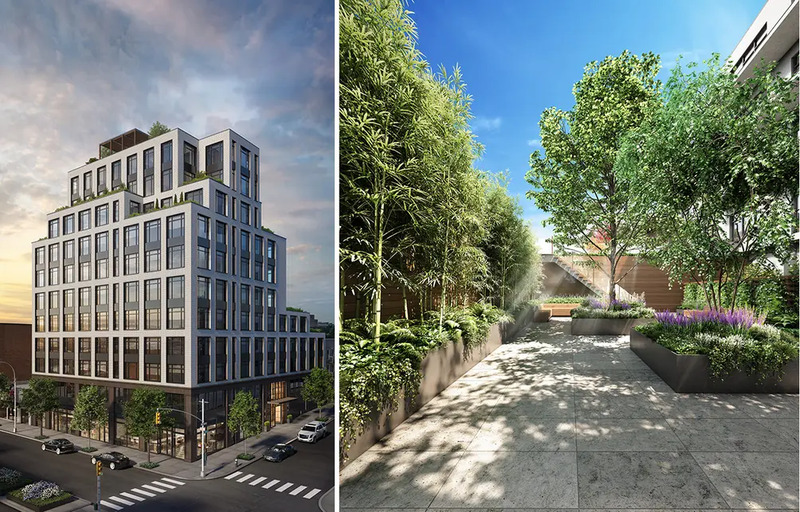 As we wait to thaw out from the polar vortex, things are already heating up in South Slope/Greenwood Heights: Sales have launched at Arbor Eighteen, a newly constructed 11-story condominium that promises to set new standards for the neighborhood. The gray brick building designed by Issac & Stern features a pleasing facade, but it has nothing on the understated but luxurious condos and abundant amenities within. 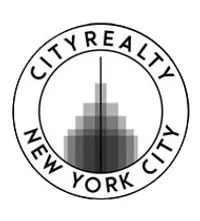 All studio through three-bedroom homes boast interiors by Paris Forino, massive windows framing city and harbor views, ceilings soaring as high as 11 feet, custom 7.5” rustic white oak flooring, and energy-efficient appliances, including the heating/cooling system and in-unit washer/dryer. High-quality finishes will include honed quartzite countertops, marble mosaic bathroom flooring, and Bosch appliances. Of the 73 homes, 29 will have private balconies or terraces. Arbor Eighteen was named for its location “on the greener side of Brooklyn” between Prospect Park and Greenwood Cemetery. 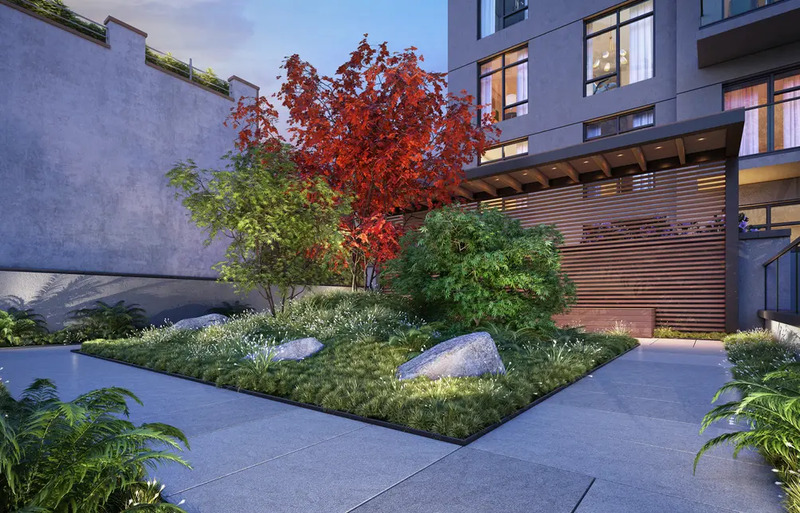 However, with a lush courtyard designed by Steven Yavanian as the building's centerpiece, residents have no shortage of greenery right outside the front door. One flight up, a Zen garden has low plantings, mounted topography, Japanese maple trees, and sculptural boulders. The building is topped with a planted roof deck with dedicated spaces for grilling and entertaining. 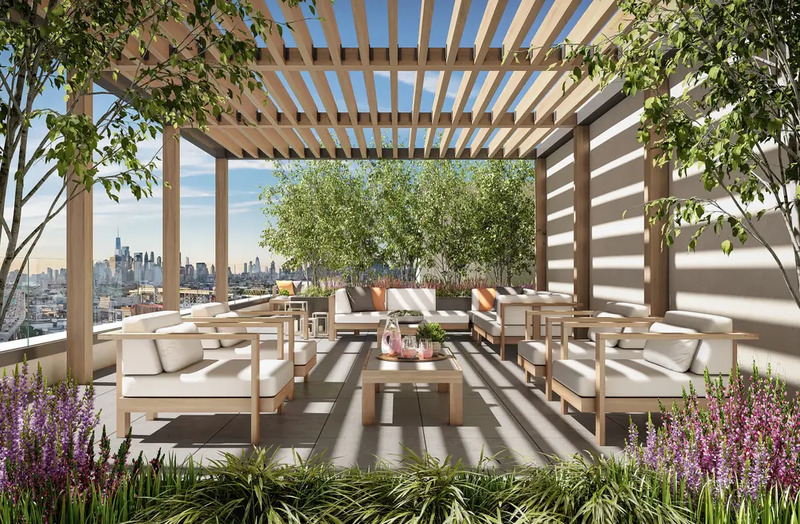 The courtyard is visible from many of the residences and indoor amenity spaces, which are spread over three floors and include a state-of-the-art fitness center with yoga room, meditation room, and infrared sauna with chromotherapy. The library has a fireplace and beautiful courtyard views to make it ideal for reading, working, or relaxing all year round. Additional amenities include a lounge with billiards table and screening area, a private dining room, and a children’s playroom. 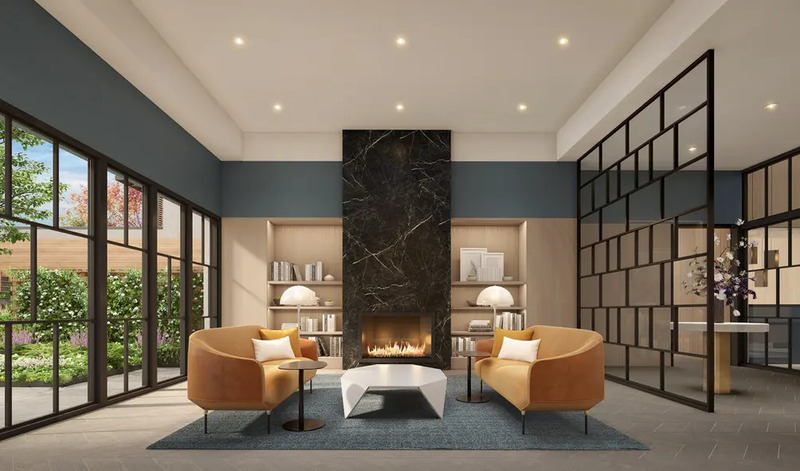 Private storage, bike and stroller storage, a pet spa, and an auxiliary laundry room for oversized items will make life more convenient for residents. Commuters will be happy to have onsite parking with electric car chargers, not to mention the Prospect Avenue subway station two blocks away. Closer to home, Arbor Eighteen is a short walk to 5th Avenue hot spots like Freddy’s Bar, Buttermilk Bar, Black Horse Pub, and Sidecar. Studios at Arbor Eighteen start at $550K. 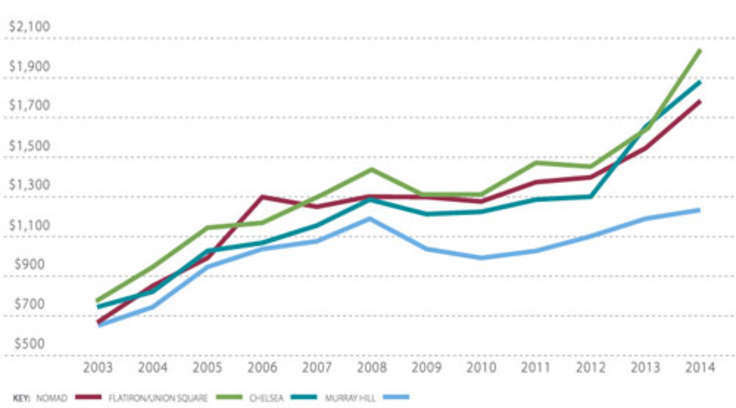 One-bedrooms start at $700K, two-bedrooms start at $1.075 million, and a three-bedroom is listed for $1.785 million. 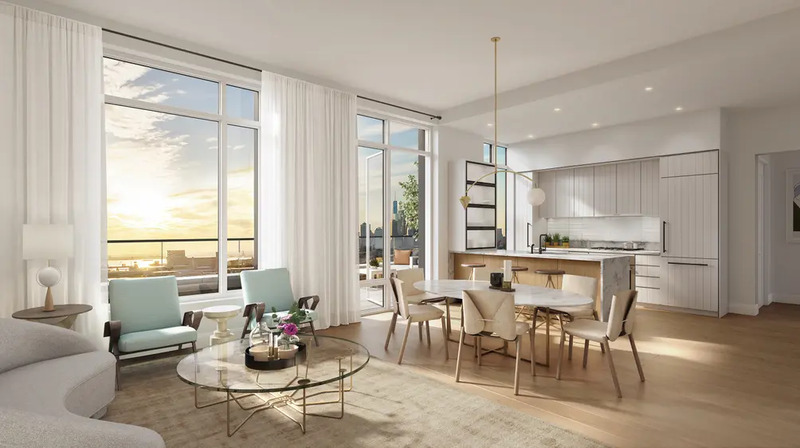 The prices are just above similarly sized units in the area; around the corner, the few remaining availabilities at The Aaron range from $715K for a one-bedroom to $1.605 million for a three-bedroom See more listings here.